Many K9 officers go on duty without the proper equipment necessary for their safety. Unfortunately, in the three years the Law Enforcement Community has lost over 30 K9 officers due to gunfire / Stabbing assaults that could have been avoided by having the proper safety equipment. Another way to help us is to take advantage of the Amazon Smile program! Amazon Smile allows you to shop just like you normally would on Amazon, while they donate a portion of your purchase price to us – at no cost to you! Click the banner below for more information. Please scroll through the list below to meet some of the K9 Officers we have helped so far. 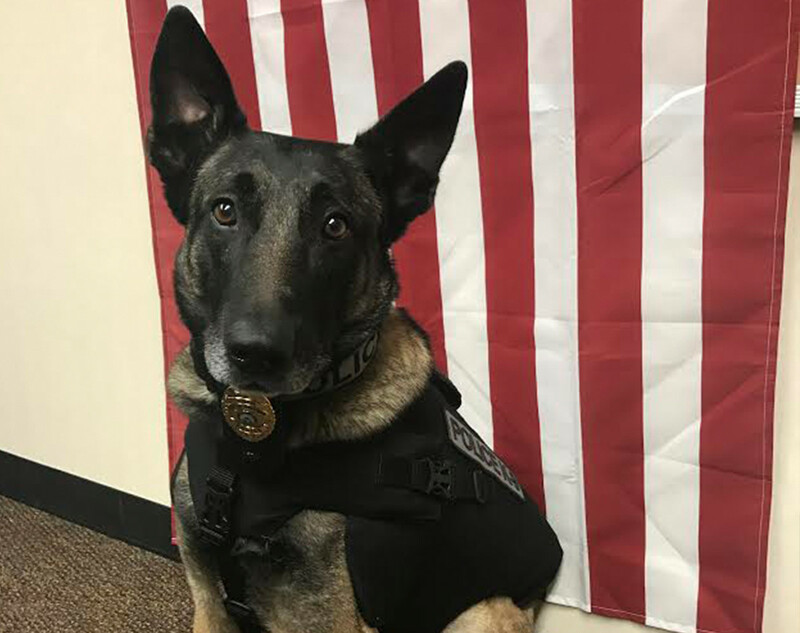 Officer Grimm was born 03/01/2011 in the Netherlands. He is from the Madison Heights, Michigan Police Department. 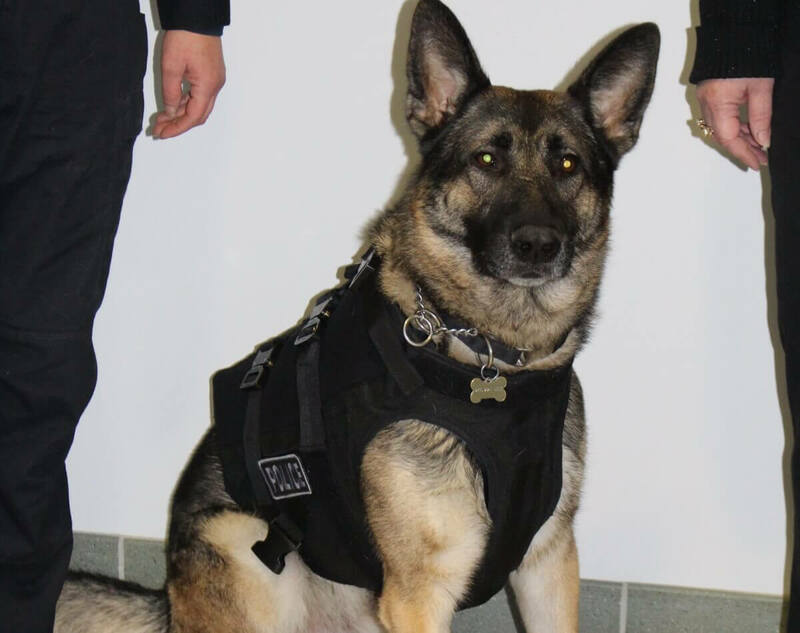 He is trained in Narcotics, tracking, building search, article search, handler protection, and area search. Officer Grimm received his vest in August, 2016. 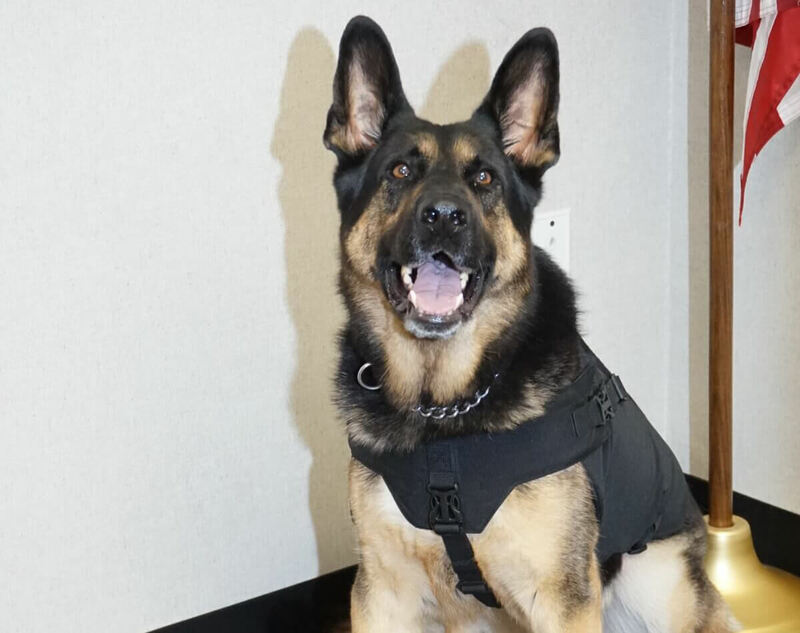 Officer Eli is a German Shepard Male with the Troy, Michigan Police Department. Officer Eli received his vest in November, 2016. Officer Jesse was born September 17, 2013 in Holland. He is a Belgian Malinois Male. He is trained in Narcotics Detection, Tracking, Building, Area and Article Search, Obedience, Suspect Apprehension and Handler Protection. 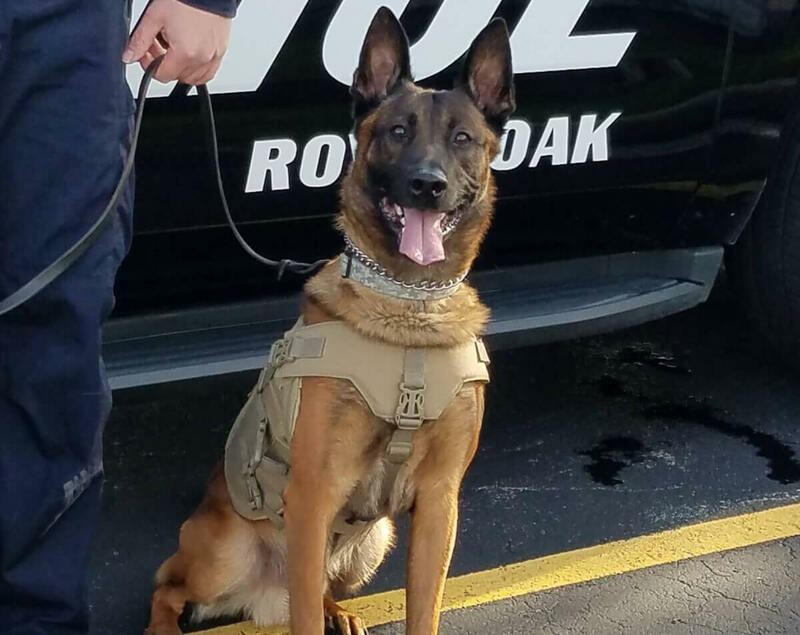 Officer Jesse started with the Royal Oak, Michigan Police Department in July, 2015 and received his vest in September, 2016. Odin was born in the Netherlands on 1/10/2013, and was trained there before getting sent to the Shallow Creek Kennels in Sharpsville, PA. I received Odin on 9/28/2016, but we weren’t certified as a team until October 26, 2016. We got certified on this day for Narcotics training. We are currently certified as a team for only Narcotics at this time. Our next step is getting certified for patrol work (suspect apprehension and tracking). This certification will coming up this summer. For donations to our cause valued at $10 or more, every contributor will receive a Support the K9s bracelet along with a donation receipt to be used for tax purposes for your tax-deductible donation. National recognition on PLEA Foundation’s website for three months and a sponsorship acknowledgement certificate. Includes free quarter page black and white ad in two quarterly newsletters, national recognition on PLEA Foundation’s website for three months, sponsorship acknowledgment certificate, and recognition on PLEA Foundation’s donor wall. SIncludes free half page color ad in four quarterly newsletters, national recognition on PLEA Foundation’s website for six months, sponsorship plaque, recognition on PLEA Foundation’s donor wall and acknowledgement in national marketing prospect packages. Includes free full page color ad in four quarterly newsletters, national recognition on PLEA Foundation’s website for one year, featured banner on PLEA Foundation website for 90 days, sponsorship engraved plaque for your business, acknowledgement in national marketing prospect packages, company name shown in power point national sales meetings, engraved plaque on PLEA Foundation’s donor wall.